When your flight arrives in Buenos Aires, we’ll take you to your downtown hotel or straight on a guided tour – depending on the arrival time. You’ll visit traditional neighborhoods, including the birthplace of Tango, old-time cafes notables, monumental obelisks, and world-class barbeque parrilla … in the “Paris of South America.” Highlights include Evita Peron’s grave, stopping for traditional snacks and the day-glo houses of La Boca. The early part of the day is all yours to explore Argentina’s gorgeous capital at your leisure. In the afternoon, you’ll fly to Iguazú, where we’ll take you to your next hotel. You can start with a visit to either the Brazil or Argentina side of Iguazu Falls. 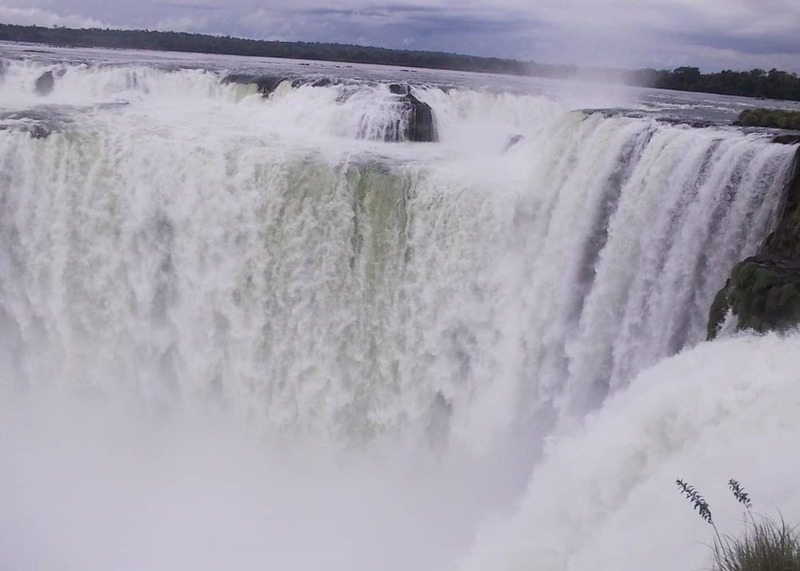 With Iguazú’s spray lashing your skin and its deafening roar thundering in your ears, you’ll feel the might of this tower of white water from very close indeed. Exotic birds, rainbows, and butterflies hover around you as walk the trails, and you can step out onto a catwalk that extends 1,200 yards over the so-called Devil’s Gorge—if you dare. You’ll have a second day to visit the other side of Iguazu Falls – Brazil or Argentina. And maybe take a boat ride up to the Falls themselves! After breakfast we’ll bring you the airport for your flights to El Calafate—the gateway to southern Patagonia. This rustic town, with its picturesque houses and well-tended gardens, looks out on the turquoise waters of sprawling Lake Argentino, where you’ll spot condors, guanacos, wild horses, and all manner of exotic birds. Stroll through its streets in the cool breezes of evening. With their guitars, ponchos, and superb horsemanship, the gauchos are Argentina’s cowboys, and you’ll meet them in this visit to Estancia Cristina, a traditional ranch on stunning Lago Argentino. You’ll have the option to enjoy a delicious asado—an Argentine feast of grilled meats such as Patagonian lamb—before setting out by boat and Jeep 4 X 4 to visit remote Upsala Glacier, the second largest in Patagonia. Or, if you prefer, you can hike overland to see the crystalline Southern Ice Field. 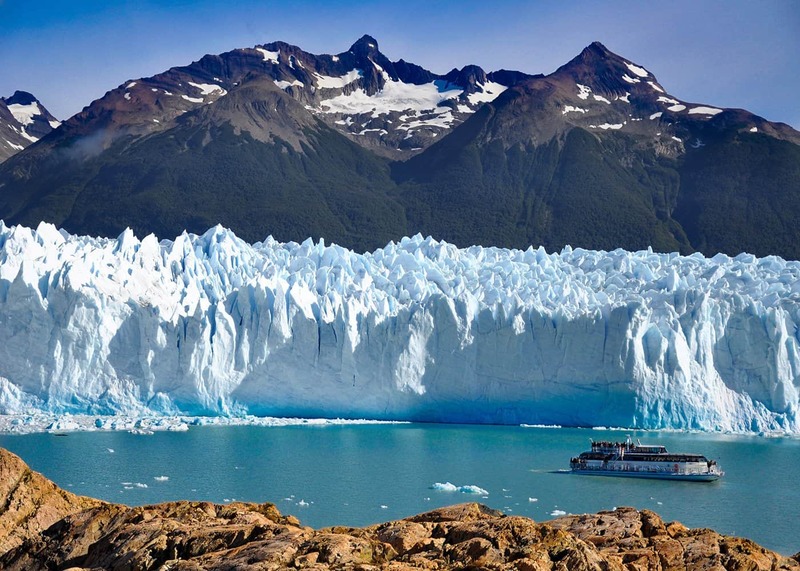 Today we bring you on a full-day tour of the Perito Moreno Glacier—one of the few in the world that’s not shrinking. 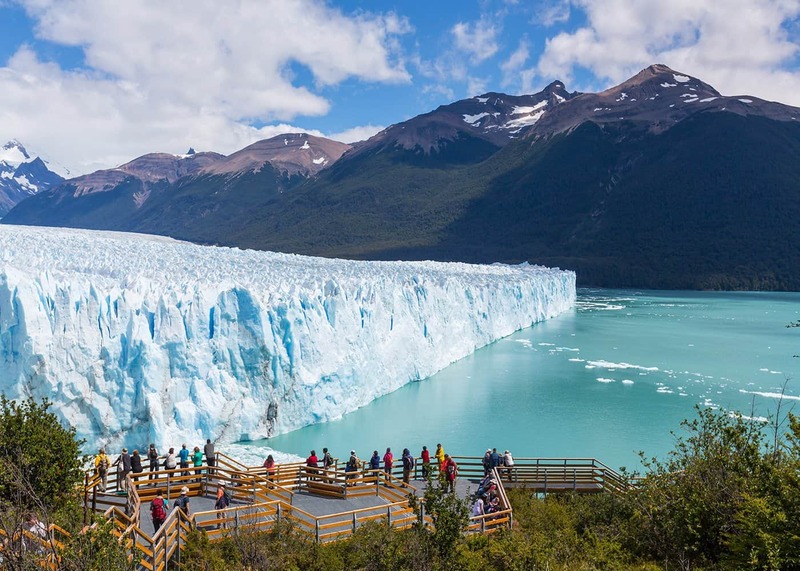 You can experience it from walkways, take a boat ride that brings you close to this massive wall of ice, as big as a city, or even trek on the actual glacier itself. If you’re lucky, you’ll have the experience of seeing and hearing massive chunks of ice falling into the water as the sun streaks the glacier with blue. In the morning, we’ll take you to the airport for your flight to Buenos Aires, to connect with your international flight home. An unforgettable trip experiencing two “opposite” natural wonders … in one week!